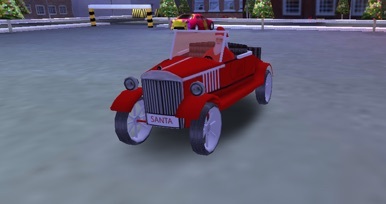 Ho ho ho, it’s a free to play Christmas Santa Car Parking 3D game. Would you like to help Santa practice parking, so he could do well on Christmas eve? 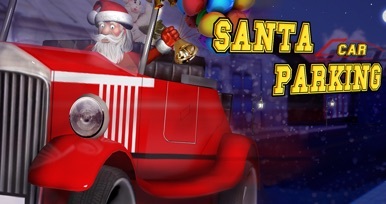 This fun to play Christmas Santa Car Parking app 3D depends on parking skills for becoming a parking star. This 3D Santa Game parking app is fun to play because you don’t get a chance to park Santa’s car every day. Grap this opportunity! Use your parking lot locator, in this game the arrow, to find a free parking lot before you’re on your time limit. If your parking skills are good enough to help Santa, you may call yourself a parking star. This free to play parking app will help you to learn everything you need to learn about driving a Christmas Santa car and show your best parking moves. Technology has found his way very quickly in this modern world. Instead of a reindeer Santa uses a car including a parking lot locator arrow to face this snow level. 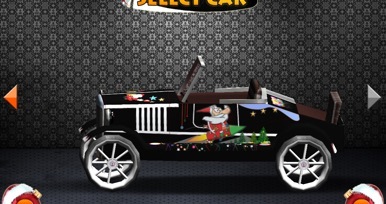 He will change into a racing Santa with precision driving, avoiding obstacles with his amazing driver’s view. He better not drive too fast, because he could lose his driver license. Can you be the Christmas Santa driver and drive him safely to his parking lot, like a real parking star? You may need to show your best parking skills to succeed. Because you can learn quickly in this fun to play 3D Christmas Santa game this is also a positive Santa game for kids. In this game the time limit does not go down, but counts up from zero. You can’t drive relaxed on Christmas eve, lots of people are expecting presents from you. You have to show speed and parking skills, you have to practice parking so you won’t let Santa down. 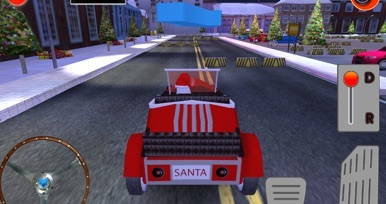 Be fast, be good, be a racing Santa in this free to play Christmas Santa 3D parking app. - Park his car as quick as possible, time is ticking. De mobiele app van Volleybal de Valk uit Montfoort. Hierin kunt u alle informatie, nieuws en contact gegevens vinden van volleybal vereniging Volleybal de Valk. Like media files posted in your Twitter or Facebook account? Grab this app! The app makes it easy for you to browse all photos and videos posted in your Facebook and Twitter accounts. You can mark photos and videos as favorite ones. You can watch videos right within the app. Photos can be viewed fullscreen and zoomed in, if necessary.